All good things come to an end, and divelog·blue is no exception. But please enjoy the dive archive! Some of the best of divelog·blue. Humpback Whales with Tony Wu. 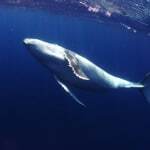 One of our most significant sets of dives were with humpback whales in the Kingdom of Tonga. These spanned about two weeks, with dozens of encounters in total. 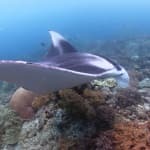 Raja Ampat manta ray free-diving. In 2018, we journeyed to Raja Ampat, Indonesia, and spent a week with reef manta rays. Free-diving with manta rays is a huge effort—they prefer water with current! When in the Mediterranean… ship-wrecks. 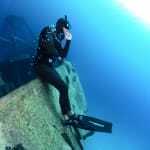 We spend most of our time in Malta, which features many shipwrecks. One of our most familiar is the HMS Maori. 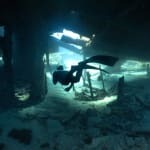 Free-diving deep shipwrecks is eerie and incredible—diving the blue, then having an entire ship come into focus during descent.